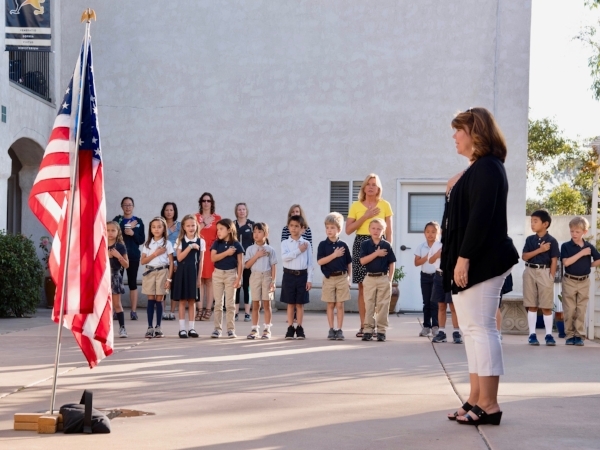 In the fall of 2006 in a few rented rooms, The Cambridge School in San Diego, California, opened its doors to nine students—kindergarten prep through first grade. It added one grade each year, and today nearly 300 students thrive in a robust community of faith and learning on its own campus. Cambridge will graduate its first senior class in 2018. 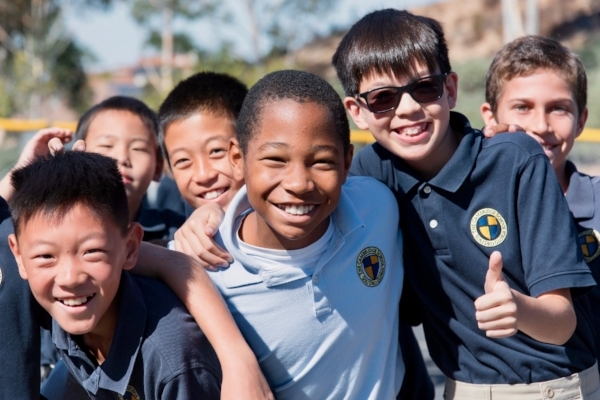 Beautiful Christian Life had the opportunity to connect with founder and head of school, Jean Chung Kim, about the program’s success in educating the whole child. Jean, what inspired you to start The Cambridge School? Necessity is the mother of invention. I never really had any intention of starting a school but began to consider all the educational options available to me as my oldest child was coming of school age. An educator myself, I looked into public, private, homeschool, and charter programs and came across a book on classical Christian education. After reading through it, I thought, Eureka—this is it! This educational philosophy gave name to my unnamed desires for education. It was everything that was missing from both my own prep school and Ivy League college experience. But unfortunately, there weren't any classical Christian schools in San Diego at the time. So my options at that point were to homeschool, move to someplace that had a classical Christian school already established, or start one here in San Diego. And I found the model so compelling that I thought it would be better if it could be a blessing to the community at large rather than just my own children. And that's how the school was born. What are some of the distinctive characteristics of a Cambridge school education? This is an education that isn't just about the information that's provided students: it's really about the formation of a student’s habits of mind and habits of soul. We want to teach children how to think, and we want to make sure they are learning to love things that are worth loving. This isn't a cram/pass/forget kind of throwaway education. It’s about reading something, thinking about ideas, and how what the students are learning forms and shapes who they are in addition to how it might apply to their lives and the world around them. What is the purpose of a classical education? The purpose of education is much more than getting into a good college so that you can get a good job. That seems to be much too anemic a goal for a human being made in the image of God. We want Cambridge students to have a thoughtful faith, instead of a faithless thought. Our primary goal for education is to cultivate wisdom and virtue in our students and often the byproduct of doing that is doing well on standardized tests and in the college admissions process, because they love to learn, but those are not ends in and of themselves. It’s making them a certain kind of person—wise, virtuous, thoughtful, and charitable—before they ever take on a certain type of job, knowing that they're going to carry who they are and their habits of mind and soul into their families and workplaces and communities and churches. I can't wait to see the impact they will make because they've learned to think carefully and to love what is true, good, and beautiful. Can you share with BCL readers about Cambridge’s "house" system? We have a house system for seventh-through-twelfth graders. I think most people compare it to Harry Potter, but it goes back much further to the medieval university. It's a place in which to find a home away from home and a little “family” or sorts while you're at school. We have house masters who are faculty who really lean into and mentor our student leaders and House Prefects. And then those House Prefects and leaders, all upperclassmen, in turn in turn mentor and encourage the younger students in their house, which is a beautiful thing to behold. What is Cambridge's approach to the children being involved in social media and technology in general? Yes, that's an important question. We focus on the cultivation of wisdom and virtue in the students themselves—the ability to look people in the eye, to have real conversations, to listen carefully and charitably, and to speak well with one another about ideas. And that only happens when you have face-to-face time without the distractions of technology. While we love and appreciate technology, we also know that the more powerful the technology, the more wisdom and virtue is needed to manage it well, and so we are an intentionally low-tech school through 6th grade to give students time to enjoy being the embodied souls that they are. And even after that, we are very intentional about how much technology our students use in class and out of class for schoolwork. As digital natives, they are all quite capable at using apps and office products; what they need more time on nowadays is how to be more fully present and human in their interactions with others. That seems to be a lost art. In middle school, when social media usage is most rampant and does the most damage, we do not allow them to have any cell phones at school, period. There are no cell phones at school, and we don't assign any homework where technology or lots of social media is required to complete it. We are very intentional—we teach them good handwriting habits before they learn at a keyboard. We are not afraid of technology. We do see it as a good gift. But there's a proper place for technology in the home and school. The best relationships and conversations happen face-to-face. What is one special memory that comes to mind since you founded the school? We were being accredited for the first time ever six years ago, and the accreditation committee was on campus, randomly interviewing parents, students, and teachers. They came up to a girl as she was practicing soccer and said, “Hey, what is it that you love about the Cambridge School?” She responded without a moment’s hesitation, “It is an educational feast for a hungry young mind!” Then she kicked the soccer ball and continued playing. Having a fifth grader be able to articulate that about the school did my soul good. What do you love the most about classical education? What I love about classical education is that it makes explicit what comes implicitly to really intelligent students, and so it gives them all the tools that they need to think carefully. Kids wonder, "Am I a good writer or a good math person?" Classical education teaches them to think out loud about how to become a good writer or reader or how to become a good quantitative reasoner. It gives them all those tools, and it makes them explicit. Ideally, a strong classical education ends up providing an elite education without the elitism that usually comes with it. Elitism is generally just excellence with arrogance, and we want to provide an education that makes students excellent—but with humility. At the high school stage, students develop the intellectual skill of rhetoric to learn how to synthesize and generate and make beautiful arguments to people. But if you don't teach students the affection of doing that to move people to noble ends and action, then you just get people who are better manipulators—and that's not what we want. We want to cultivate intellectual skills and rightly ordered affections in tandem with each other. Do you have any advice for people who are homeschooling their children and would like to achieve some of Cambridge's academic goals? Think of education as not just more IN-formation, but formation. Make your education such that it forms and shapes their affections regarding what to love and the way to think. And that requires a lot of good conversation. The best thing about homeschooling is that you have ample time for those kinds of conversations. We want our children not merely to have loves but rather to have rightly ordered loves. Jean, thank you for sharing about The Cambridge School with Beautiful Christian Life. We look forward to seeing the many ways Cambridge students will be a positive influence in the world. Thank you. It’s always a joy to share with people about the lifelong benefits of a classical Christian education. To learn more about The Cambridge Academy and Christian classical education, please visit The Cambridge Academy website.